The scallop industry in Chile started in the 1970’s and quickly became a profitable and productive part of their aquaculture industry. In Peru, the industry developed more slowly but production is steadily increasing. Chilean/Peruvian scallops are predominantly cultured in suspension nets, which have minimal environmental impacts. Chilean/Peruvian scallops in Chile are cultured from hatchery raised spat and then grown-out “off-bottom” in suspension using Japanese lantern nets and ear-hanging techniques. Scallops produced in Peru are cultured from wild harvested spat and grown-out using hanging culture techniques. Production in both countries occurs in coastal bays. A marine reserve was established in Chile to provide juvenile scallops (“spat”) to the developing Chilean Scallop culture industry, thus reducing the need to collect spat from the wild. Scallops get their nutrients directly from the water column, filtering plankton and algae from the surrounding water. Scallop farming does not require supplemental feed, so has minimal impact on marine resources. Competition from escapees and disease transfer to wild populations is not a major concern. Fertilizers and feeds are not used in culturing scallops; antibiotics and other chemicals are also rarely used. Scallops cultured “off-bottom” in suspension nets have little impact on the seabed and surrounding habitats. Culturing scallops may, in fact, improve water quality by the filtering organic matter and nutrients from the surrounding water column. Scallops grow rapidly and can be of harvestable size within a few years. They reproduce early and in relatively large numbers. These characteristics make them inherently resilient to fishing pressure. Weathervane scallops at this time not considered overfished. This fishery is well managed with precautionary management measures, including a limited entry program, area‐specific catch quotas to prevent overfishing, gear and crew size restrictions and bycatch controls. Since 1994, there has been a requirement for vessels to carry onboard observers to collect various data as well as provide information on regulatory enforcement. Data are released to the public in reports prepared by the Alaska Department of Fish and Game in a management process that is transparent and open to the public. Bycatch is generally low in this fishery with only one species of concern— the Tanner crab, which has had low abundance in recent years. However, the scallop fishery is adhering to bycatch limits and does not appear to be impacting the efforts to restore this crab population. Scallop dredges have been shown to have moderate‐to‐high impacts on benthic populations, communities, and habitats. Concerns about habitat effects associated with dredging in Alaska prompted the Alaska Board of Fisheries to establish extensive area closures to fishing with scallop dredges. A variety of scallops are farmed worldwide, using both off-bottom culture with hand harvest, and on-bottom culture with dredges. Off-bottom cultures are not associated with habitat damage or bycatch, as no contact with the ocean floor occurs, and harvest is done by hand. 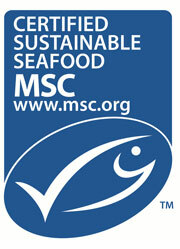 On-bottom cultures were previously not Ocean Wise recommended due to concerns over dredging during the harvest. The recent report has distinguished between dredging for wild scallops and farmed scallops. The habitats where farmed scallops are cultured are highly turbid, coastal areas, which are highly resilient against large-scale physical disturbances. Non-target species inhabiting this area are also highly resilient against physical disturbance, as they quickly re-colonize dredged areas. Additionally, since farmers are aware of the location of farmed scallops, this allows for a reduction in the duration and number of dredge passes. Areas leased to farmers are usually not inhabited by sensitive species such as corals, and after harvest, farmers re-seed the area, thereby restoring vertical structure to the habitat. Mexican bay scallops have been commercially harvested in Baja, California, since the 1970’s. The species responds to changes in environmental temperature by undergoing boom and bust cycles which leads to a highly variable fishery. The National Fisheries Institute is responsible for setting quotas, issuing fishing permits, minimum catch sizes and organizing surveys of the population. Only fishery-dependent data is collected; however, these results are unavailable. Therefore there is a moderate amount of uncertainty regarding stock status and the enforcement of the federal management regulations. Mexican bay scallops are short-lived, highly fecund, fast-growing and quick to mature. These life history characteristics make the species resilient to fishing pressure. They are currently harvested at their maximum sustainable yield. Hand extraction of the scallops by divers in small boats causes minimal damage to the ecosystem. Additionally, dredging, which would have likely damaged the habitat, has never been used to harvest the scallops. There is also minimal bycatch. Argopecten spp., Chlamys spp., Patinopecten spp., Patenopecten spp. Baja scallops range from the Baja Peninsula in Mexico to Peru and are hand-collected by divers. These scallops are generally larger and of better quality than those scallops dredged off the seabed. This harvest method is also much more environmentally responsible. The Baja scallop inhabits shallow coastal channels with strong currents. Scallops are fast growing and have a high reproductive output, which makes them resilient to fishing pressure. Diving is restricted by depth to < 30 m, which creates a natural ‘refuge’ for wild populations to regenerate. This fishery is considered to be at optimal exploitation. Dive-caught is a much more selective method of capture then scallop dredging. Bycatch is minimal. It is also a much less invasive harvest method than scallop dredging. Diver harvests cause minimal damage to seabed habitats. The British Columbia (B.C.) wild scallop trawl fishery is small-scale, currently with less than three active participants. The fishery targets pink scallops (Chlamys rubida) and spiny scallops (Chlamys hastata). A modified trawl called a butterfly trawl is used to fish off-bottom, causing minimal impacts to the habitat and bycatch. In B.C. this fishery may occur in a number of different locations in the Strait of Georgia dependent on regional biomass survey results. Pink and spiny scallops are known to be highly resilient. A sufficient time-series to determine stock status is not yet available but this is a management priority. Allowable catch is determined based on biomass surveys specific to open fishing areas and harvest rates are well documented. Discards are very infrequent in the scallop fishery and no species of concern are caught. The scallop trawl fishery is monitored with collaborative surveying and biological sampling. Management’s track record for maintaining a healthy scallop population is short and uncertain. Currently there are clear management goals aimed at achieving a long-term time-series of biological parameters, this should eventually lead to a data-rich, well-surveyed stock and fishery. 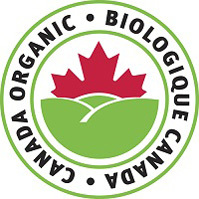 Since the Seafood Watch assessment was published in 2013, the fishery has transitioned from experimental to commercial operating in a precautionary manner. Scallop farming has only recently developed in BC over the past 10-15years. Several species of native scallops are occasionally harvested but successful culturing has been limited. 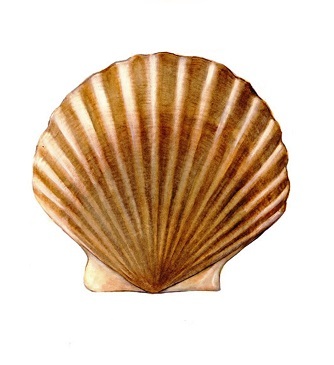 A hybrid of the Weathervane scallop and the introduced Japanese scallop was developed and is now being cultured successfully in BC using sustainable suspension culture techniques. Scallops spawn after about 2 years with a high reproductive output. The spawning season occurs once a year and is correlated to changes in temperature. The culturing of Qualicum Bay Scallops relies entirely on hatchery production of seed. Seed collection, therefore, puts no pressure on wild populations. At the juvenile or ‘spat’ stage, scallops are transferred from on-land hatcheries to ocean nursery sites where they are suspended in the water column in bags. As they grow, the scallops are transferred to nets where they are kept at lower densities until they reach market size. Scallop farming in Canada is managed by the Department of Fisheries and Oceans, which sets regulations and issues farm licenses. 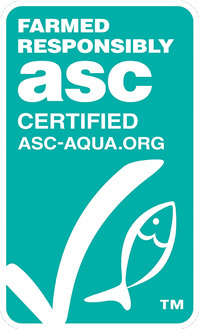 The BC Shellfish Growers Association establishes codes of conduct and best management guidelines for this industry. Scallops feed on plankton so do not require additional feed to be cultured and therefore have minimal impact on marine resources. Because this is a hybrid Scallop, it does not pose a threat to native scallop populations through competition for resources or disease transfer. Qualicum Bay Scallops are cultured in suspended nets at low densities. The low density reduces the amount of concentrated waste at each site, compared to other farmed species. From 2009 to 2014 New York and Massachusetts accounted for 97.3% of all bay scallop landings in the Unites States. However, bay scallop abundance is low compared to historical abundance prior to the 1980s. It is thought that this is due to the low densities of spawning stock and loss of optimal habitat. There are moderate levels of bycatch of finfish and benthic invertebrates associated with dredging. In addition, dredging can damage eelgrass beds.